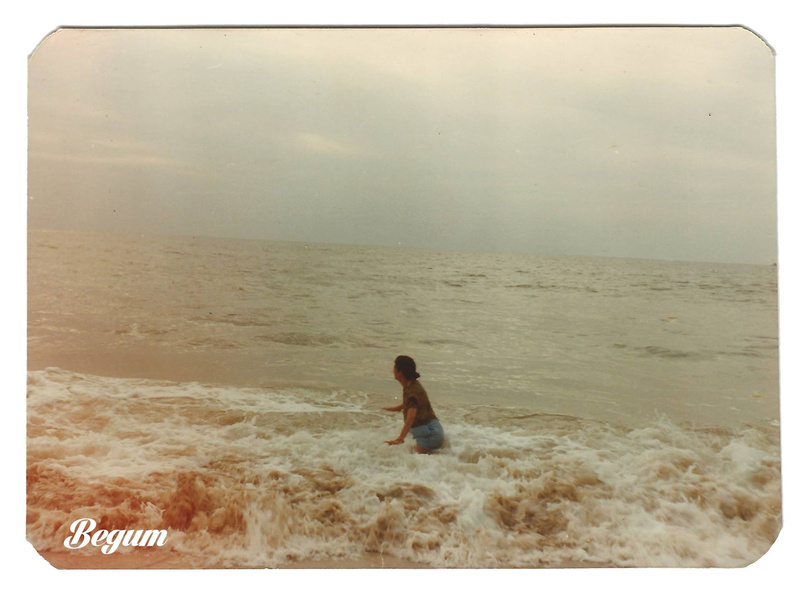 New Delhi-based Begum are the most exciting band we’ve heard this year. Two members of the band, Karthik Pillai and Karan Singh, are from the gypsy/cabaret/indie act Peter Cat Recording Company. 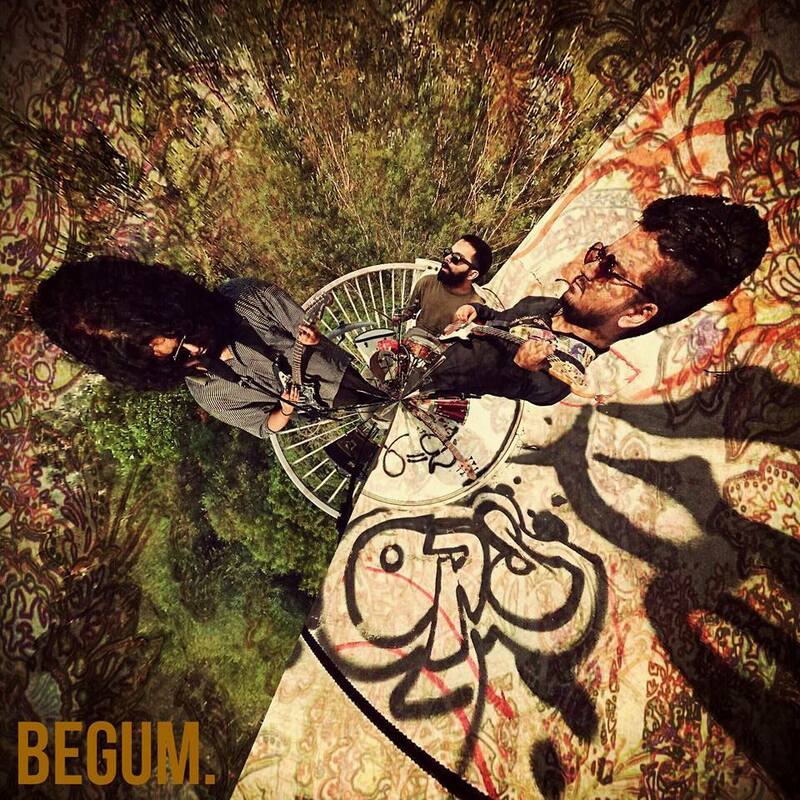 With Begum, their unmistakable Peter Cat madness is flavored with bassist Kshitij Dhyani’s masterful touch of elegance. It’s a perfect combination. It’s no wonder, then, that their lead single “Waiting” is such a stunning debut. Karthik syncs his trance-like guitar groove perfectly with his melancholy singing. Karan’s drumming breathes inside delicate spaces as well as it drives segues between different phrases. Kshitij’s basswork is understated and moody, and all the more indispensable for it. The lyrics are poetic enough to feel the song’s melancholy and mysterious enough to add your own imagination to it. Top Five Records: Let’s start with the basics. Why Begum? What’s behind the name? Begum: The name Begum is a tribute to the Queen Preeto, who reigned during the 5th century of Salil Ankola in Noida Sector 18. During her reign, hipsters, indie musicians and other things you can find at dollar stores were given a special place in her court. Her patronage towards Chinese artifacts and other things without a future beyond six months inspired us to come together and produce music with the shelf life of a Durian. TFR: What pulled you together to form Begum? Begum: Two smugglers Kshitij and Kartik were caught illegally transporting guitar riffs across the border. During interrogation, they conceded their guilt and were summoned to deliver a bribe in the court of the Begum. While presenting their bounty to the all-knowing Begum, they accidentally hit a set of sacred occult notes. One of the Begum’s guards, Karan, ran to stop them and, before anyone could notice, they were transported to an alternate universe. Now the three men have joined forces to jam until they find the correct set of notes to go back home. TFR: When did you guys first get into music? What did you grow up listening to? Begum: We grew up listening to Government propaganda, still our favorite when we need to kick off them blues about our future or where this country is headed. We got into music to prolong this dreamy, blissful, ignorance-fuelled state of oblivion and share the perils with our concerned friends, relatives and parents. Our music comes recommended as the best background score for an intervention by one in four psychologists in Nangloi area of Delhi. TFR: Tell us a little bit about your single “Waiting”. What’s the story behind it? Begum: The brain has been flooded by the discharge of the pineal gland cutting off all connections to the body and leaving the brain in complete awareness of its descent into numbness. In the song, the individual is having flashbacks and is viewing himself/herself in second person and third person as he/she slides into death and emerges as free energy, alive and malleable with a certain amount of consciousness. In one word: transcendence. TFR: Most of your online presence features the image of a lady wading into the ocean. Does the image have any particular symbolism? Begum: That image was artwork for our single “Waiting” and made sense somehow in context with the song. It has now been changed to the artwork for our new single “Chinbien”, which is being exclusively launched by Wild City. These are Top Secret archival images of rejected ideas for a personality makeover media campaign for one of the top Indian politico-crats, rejected on the grounds of being too nauseatingly humane. TFR: There’s a certain dreamy melodrama in your music that few other artists in India can attempt, let alone pull off so perfectly. What inspires you to create this very unique style of music? TFR: On a similar note: we think that the music you guys make would be best suited for a particular sort of pensive, elegant atmosphere. What would be your ideal gig venue? Begum: Parliament of the sovereign, socialist, secular, democratic, republic of Akagarma. A Golden Pillared Opera house along with an orchestra and an immersive and subjectively responsive lighting and visual setup. Globes radiating sound and the warmth of sound pressure levels, tinted audio generators pulsing and rushing through the crowd. TFR: The video for your new track “Chinbien” features a surreal series of imagery and video clips. How important are visuals to the end product of your music? Begum: While browsing the Internet to solve the mystery of feline dominance, our video director Samridhi Thapliyal was stuck by a sudden and deeply saddening inquisition. What if aliens are trying to establish communication with us but their mode of communication lies outside of the aural and visual abilities of a common Honey Singh fan? So, to extend a hand of friendship and a proposal for a symbiotic relationship with the dimensions outside of human experience, the music video has been a humble attempt. It is a short catalogue of what aliens should expect to see on a vacation trip to Earth, which Samridhi expects to be picked up by the tourism department of our planet someday. TFR: If your music had to be slotted between two albums of any language and any genre, which two would it be? Begum: We would be forced to slot our upcoming album “Begum Bagh” between the available recordings of broadcast from “Phoney Wars” and a spoken word album of all of Alfred Jarry’s work, synchronized to free jazz and Altaf Rajas Alaaps. TFR: Tell us one artist (Indian or international) that you’d most love to work with. TFR: When can we expect the Begum album? Begum: The Begum album will be out by August followed by a tour and one more music video coming up as well somewhere after that. Also we are in the process of composing an Indian Opera, hopefully debuting it sometime next year.